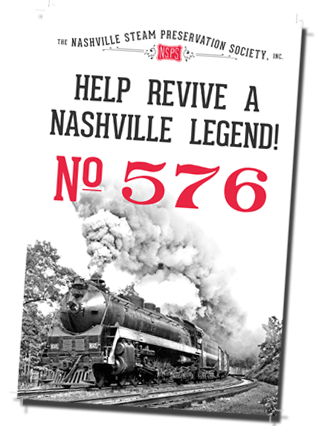 YOU can help power 576 back to the rails and create a first-class shop for its continued operation! 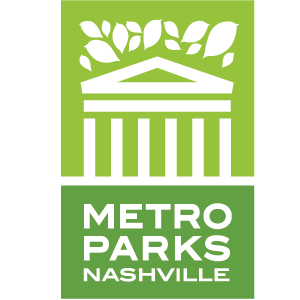 All of our donors become part of the Nashville Steam Preservation Society. Learn more about Donor Benefits and Levels below. All donations are tax-deductible and can be made online or traditional mail. Online donations are processed by PayPal. You’ll be asked to enter your credit card information on their secure server once you complete the form below. Donors do not need a PayPal account to complete the transaction. Click on “Use your credit card or bank account” after hitting the donate button below. Contact us with questions about your donations, how money will be utilized, or corporate and sponsorship opportunities. You do not need a PayPal account to complete the transaction. Look for this option on the following pages. For a period of one (1) year after his/her donation, an NSPS donor will receive a quarterly Newsletter and updates via email and an end of year hard copy project status report letter. 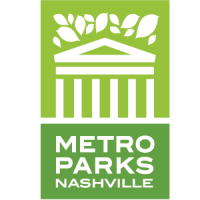 The NSPS Donor will be offered the opportunity to become an active NSPS volunteer (see Volunteer Policy for details) and receive an invitation to the annual NSPS meeting. Anyone who chooses to donate at this level on a recurring basis shall be termed a Sustaining NSPS Donor. For a period of one (1) year after his/her donation, the NSPS Donor will receive all the benefits of an NSPS Donor and will also receive monthly technical training materials sent via email (in development). Anyone who chooses to donate at this level on a recurring basis shall be termed a Sustaining NSPS Craft Donor. For a period of ten (10) years after his/her donation, the 10-Year Craft Donor will receive all the benefits of the NSPS Craft Donor. For those wishing to make donations of $1,000 or greater, please email us for more information and additional incentives. Note: Technical training material will only be emailed or provided via an online source. The documents will be in PDF form. The technical training material will begin with basic information regarding steam locomotives and progress into more technical material, mostly relevant to locomotive No. 576. The first month after a donor becomes eligible for this benefit he/she will receive the first technical training material document produced. Each succeeding month they will receive the next technical training material document in the order the documents were originally produced. Companies and organizations interested in sponsoring NSPS and its high profile project, please email us for more information on opportunities and benefits.